Laser Engraved Employee Awards in Los Angeles! One of the best ways to boost employee morale is to show recognition for the hard work they have put in over the course of the year. Laser engraved employee awards for Los Angeles do this by providing workers with a memento that they can proudly display at their desk or on their wall. It serves as a constant reminder that the work they do matters. 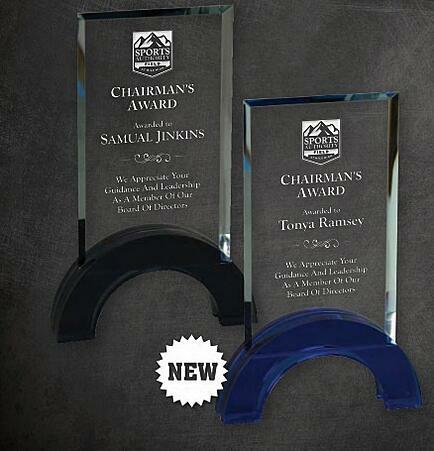 Fortunately, The Sign Studio is one of the top suppliers of engraved awards for Southern California. Let’s look at what options are available. Crystal – When only the best will do, crystal is an excellent choice. We have a variety of different shapes and sizes to choose from. There are also many different colored bases, such as blue, black, and gold. There is sure to be something that goes well with your corporate branding. 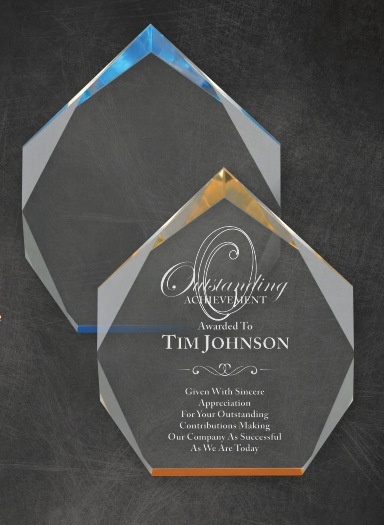 Crystal awards can be engraved with your custom message as well as your organization’s logo. The awards come in a lined presentation box. Metal – Think of metal when you want to project professionalism and longevity. This makes it ideal for lifetime achievement awards or recognizing an employee’s decades of service. We are able to engrave metal. However, we recommend incorporating a wood monument base with a custom plaque acknowledging the recipient. 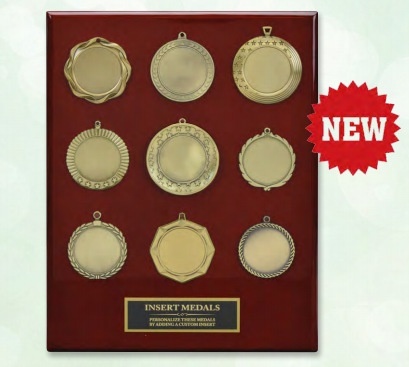 Metal awards come in a variety of colors with several different finishes. 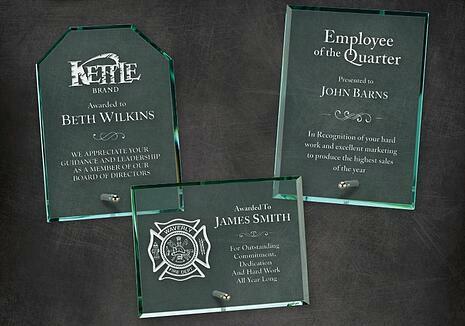 Glass – Glass engraved awards are available with many of the same options as crystal, but glass costs a bit less. Most of the glass alternatives also come with an elegant, lined presentation box. The glass awards come in numerous different shapes, including scallop circle, curved rectangle, diamond, wavefront, star, and more. There is also an array of monument base solutions, like rosewood. Acrylic – If you are working with a budget, acrylic is the way to go. Visually, these awards are virtually indistinguishable from crystal or glass. And, due to the nature of acrylic, there are a variety of fun effects we can create with this material. The Spectra series of acrylic laser engraved awards comes in a selection of sizes, and though they are mostly clear, each piece has blue or gold tones throughout. Custom engraved acrylic paperweight awards are always an affordable option. Whether you want to celebrate an employee of the month or you are looking to recognize outstanding customer service and sales achievements, The Sign Studio has you covered. When you contact our friendly professionals, we listen closely to your goals for the project. We then make recommendations based on your budget and vision. We even provide you with art proofs of what your finished awards will look like. We then deliver quality on time. If you are interested in showing your workers that they are appreciated, contact us today for a free quote on laser engraved employee awards for Los Angeles.